03:30 Malviya, Prof. Chintamani ,Ali, Shri Idris ,Godam, Shri Nagesh ,Pathak, Smt. Riti ,Ranjan, Smt. Ranjeet ,Ray, Dr. Ravindra Kumar ,Sahu, Shri Chandu Lal ,Satpathy, Shri Tathagata ,Sigriwal, Shri Janardan Singh ,Singh, Shri Pashupati Nath ,Singh, Shri Rama Kishore ,Tumane, Shri Krupal Balaji ,Jha, Prof. Manoj Kumar ,Judev, Shri Ranvijay Singh ,Netam, Shri Ram Vichar ,Ram Shakal, Shri , to have briefing by the representatives of the Ministry of Mines on 3rd October, 2018 on two subjects i.e., (i) "Implementation of District Mineral Foundation (DMF) and Pradhan Mantri Khanij Kshetra Kalyan Yojana (PMKKKY)" and (ii) "CSR Activities by PSUs under the Ministry of Mines." 03:30 Malviya, Prof. Chintamani ,Ali, Shri Idris ,Dhurve, Smt. Jyoti ,Ranjan, Smt. Ranjeet ,Ray, Dr. Ravindra Kumar ,Sigriwal, Shri Janardan Singh ,Singh, Shri Pashupati Nath ,Singh, Shri Rama Kishore ,Jha, Prof. Manoj Kumar ,Oraon, Shri Samir ,Ram Shakal, Shri , Briefing on two subjects, i. The Indian Steel Secto: Development and Potential and ii. CSR Activities in Steel PSUs. 00:30 Malviya, Prof. Chintamani ,Godam, Shri Nagesh ,Nishad, Shri Ajay ,Pathak, Smt. Riti ,Ranjan, Smt. 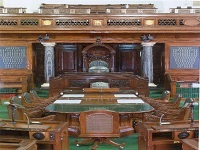 Ranjeet ,Sahu, Shri Chandu Lal ,Satpathy, Shri Tathagata ,Sigriwal, Shri Janardan Singh ,Singh, Shri Pashupati Nath ,Tumane, Shri Krupal Balaji ,Judev, Shri Ranvijay Singh ,Oraon, Shri Samir ,Samanta, Shri Achyutananda ,Ram Shakal, Shri ,Singh, Shri Sanjay , Consideration and adoption of two Draft Reports i. Implementaiton of DMF & PMKKKy and ii. CSR activities in Steel PSUs relating to the Ministry of Mines and Steel respectively. 02:00 Malviya, Prof. Chintamani ,Ali, Shri Idris ,Godam, Shri Nagesh ,Pathak, Smt. 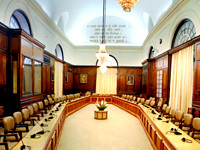 Riti ,Ray, Dr. Ravindra Kumar ,Sahu, Shri Chandu Lal ,Sigriwal, Shri Janardan Singh ,Singh, Shri Pashupati Nath ,Singh, Shri Sunil Kumar ,Tumane, Shri Krupal Balaji ,Judev, Shri Ranvijay Singh ,Sahu, Shri Dhiraj Prasad ,Ram Shakal, Shri , Oral Evidence of Representatives of Ministry of Steel, Ministry of Mines and MoEFCC on "Development of Leased Out Iron Ore Mines and Optimum Capacity Utilization". 02:30 Malviya, Prof. Chintamani ,Mahto, Dr. Banshilal ,Nishad, Shri Ajay ,Ray, Dr. Ravindra Kumar ,Sahu, Shri Chandu Lal ,Sigriwal, Shri Janardan Singh ,Singh, Shri Pashupati Nath ,Singh, Shri Rama Kishore ,Tumane, Shri Krupal Balaji ,Jha, Prof. Manoj Kumar ,Samanta, Shri Achyutananda ,Tomar, Shri Vijay Pal Singh , Briefing/Evidence of the Representatives of Ministry of Coal and Ministry of Petroleum and Natural Gas on the Subject "Need for Clean Coal Technology including Commercialization of Coal Bed Methane". 2 29.10.2018 to 01.11.2018 Malviya, Prof. Chintamani ,Ali, Shri Idris ,Arunmozhithevan, Shri A. ,Dhurve, Smt. Jyoti ,Godam, Shri Nagesh ,Kumar, Shri Shailesh (Bulo Mandal) ,Nishad, Shri Ajay ,Ray, Dr. Ravindra Kumar ,Satpathy, Shri Tathagata ,Sigriwal, Shri Janardan Singh ,Singh, Shri Pashupati Nath ,Singh, Shri Sunil Kumar ,Singh, Shri Rama Kishore ,Singh, Shri Sushil Kumar ,Tumane, Shri Krupal Balaji ,Biswal, Shri Ranjib ,Jha, Prof. Manoj Kumar ,Oraon, Shri Samir ,Ram Shakal, Shri , Chennai - Ministry of Mines/GSI, Ministry of Steel/Salem Steel Plant and Ministry of Coal/Neyveli Lignite Company. Visakhapatnam - Ministry of Steel/RINL, Ministry of Steel/SAIL and Ministry of Steel/ NMDC Ltd. Bhubaneswar - Ministry of Coal/ Mahanadi Coalfields Ltd., Ministry of Coal/South Eastern Coalfields Ltd., Ministry of Mines /Hindustan Copper Ltd., Ministry of Steel/Rourkela Steel Plant, Ministry of Mines/ NALCO and Ministry of Steel / MSTC Ltd. (i) Performance of Geological Survey of India (GSI) in Southern Region. (ii) Safety Management & Practices in SSP. (iii) CSR Activities of Neyveli Lignite Company (NLC). (iv) Physical and Financial Performance of RINL. (v) Development of Leased Out Iron Ore Mines and Optimum Capacity Utilization. (vi) Status of Integrated Steel Plants of NMDC Ltd. (vii) Safety and Security in Mahanadi Coalfields Ltd. Area including overburden management. (viii) Development of Transport Infrastructure for Evacuation of Coal from Coalfield Areas. (ix) Development of Copper Industry in India. (x) Safety Management & Practices in RSP. (xi) Development of Aluminum Industry in the Country. (xii) Trading/e-commerce activities of the Company. 3 29.08.2018 to 30.08.2018 Singh, Shri Rakesh, Shri Idris , Ali,Sahu, Shri Chandu Lal ,Kumar, Shri Shailesh (Bulo Mandal) ,Nishad, Shri Ajay ,Pathak, Smt. Riti ,Ray, Dr. Ravindra Kumar ,Singh, Shri Pashupati Nath ,Singh, Shri Sunil Kumar ,Judev, Shri Ranvijay Singh ,Oraon, Shri Samir ,Samanta, Shri Achyutananda ,Jha, Prof. Manoj Kumar , Station - Kalimpong - Ministry of Steel/MSTC Ltd., Ministry of Steel/MOIL Ltd., Ministry of Coal/Northern Coalfields Ltd., Ministry of Power/NTPC Ltd., Ministry of Steel/CIL and Ministry of Steel/NMDC Ltd. (i) Physical and Financial Performance of MSTC Ltd. (ii) Development of Manganese Ore Industry in the Country. (iii) Modernization of Infrastructure and Inventory/ Stock maintained by Northern Coalfields Ltd. (iv) Coal Linkages to NTPC Thermal Power Plants. (v) CSR activities of Coal India Ltd. (vi) Development and Potential of Iron Ore Mines by NMDC Ltd.
4 28.05.2018 to 30.05.2018 Kumar, Shri Shailesh (Bulo Mandal) ,Nishad, Shri Ajay ,Pathak, Smt. Riti ,Sigriwal, Shri Janardan Singh ,Singh, Shri Pashupati Nath ,Ray, Dr. Ravindra Kumar , Kozhikode - Ministry of Steel/ Steel Authority of India Ltd., Ministry of Coal/South Eastern Coalfields Ltd.,Mahanadi Coalfields Ltd. and Ministry of Mines /NALCO (i) Informal discussion with the representatives of Ministry of Steel/ Steel Authority of India Ltd on the subject “Promotion of Steel Usage." (ii) Informal discussion with the representatives of the Ministry of Mines /Hindustan Copper Ltd. regarding “Development of Copper Industry in the Country." (iii) Informal discussion with the representatives of the Ministry of Mines /NALCO regarding “Development of Aluminum Industry in the Country." (iv) Informal discussion with the representatives of the Ministry of Coal/South Eastern Coalfields Ltd. regarding “Marketing & Distribution of Coal by South Eastern Coalfields Ltd.” (v) Informal discussion with the representatives of Ministry of Coal /Mahanadi Coalfields Ltd. on the subject “Implementation of Information Technology and Vigilance Activities to curb Illegal Coal Mining and Theft of Coal". 9 15.6.2016 to 21.6.2016 Singh, Shri Rakesh ,Godam, Shri Nagesh ,Kulaste, Shri Faggan Singh ,Kumar, Shri Shailesh (Bulo Mandal) ,Pathak, Smt. 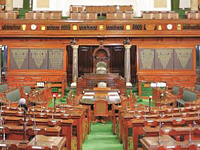 Riti ,Ray, Dr. Ravindra Kumar ,Rio, Shri Neiphiu ,Sahu, Shri Tamradhwaj ,Sigriwal, Shri Janardan Singh ,Singh, Shri Pashupati Nath ,Singh, Shri Sunil Kumar ,Singh, Shri Sushil Kumar ,Tumane, Shri Krupal Balaji , Shri M.J. Akbar ,Ansari, Shri Ali Anwar ,Balmuchu, Dr. Pradeep Kumar ,Haque, Shri Md. Nadimul Station -Singrauli (i) Visit to the Nigahi Open Cast Mines of NCL (ii) Informal discussion with the representatives of Ministry of Power/NTPC on the Subject "Coal Linkages to NTPC`s Thermal Power Plants" (iii) Informal discussion with the representatives of Ministry of Coal/NCL on the subject "Production, Marketing and Distribution of Coal". Station - Kohima (i) Informal discussion with the representatives of Ministry of Mines/GSI on the subject "Mineral Exploration in North Eastern States." (ii) Informal discussion with the representatives of Ministry of Coal/NEC regarding "Production of Coal in North Eastern Regions." Station - Imphal (i) Informal discussion with the representatives of Ministry of Steel/HSCL on the subject "Infrastructure Works undertaken by Company in North Eastern Regions" (ii) Informal discussion with the representatives of Ministry of Steel/NMDC Ltd. regarding "Mineral Exploration in the Country." Station - Kolkata (i) Informal discussion with the representatives of Ministry of Coal/CCO on the functioning of the Organization. (ii) Informal discussion with the representatives of Ministry of Steel/MSTC regarding "trading/e-commerce activities of the Company ". Station - Gangtok (i) Informal discussion with the representatives of Ministry of Steel/RINL on the subject "Modernization and Expansion Plan". (ii) Informal discussion with the representatives of Ministry of Steel/SAIL on the subject "Promotion of Steel Usage in North Eastern Region" (i) "Coal Linkages to NTPC`s Thermal Power Plants" (ii) "Production, Marketing and Distribution of Coal" (iii) "Mineral Exploration in North Eastern States" (iv) "Production of Coal in North Eastern Region" (v) "Infrastructure Works undertaken by Company in North Eastern Regions" (vi) "Mineral Exploration in the Country" (vii) "Trading/e-commerce activities of the MSTC" (viii) "Modernization and Expansion Plan of RINL" (ix) "Promotion of Steel Usage in North Eastern Region"
11 27.6.2015 to 2.7.2015 Shri Rakesh Singh, Shrimati Jyoti Dhurve, Shri Faggan Singh Kulaste, Shri Shailesh Kumar, Dr. Banshilal Mahto, Shri Godam Nagesh, Shri Devji M. Patel, Shrimati Riti Pathak, Shrimati Ranjit Ranjan, Shri Ravindra Kumar Ray, Shri Tamradhwaj Sahu, Shri Janardan Singh "Sigriwal", Shri Pashupati Nath Singh, Shri Sunil Kumar Singh, Shri Krupal Balaji Tumane, Shri Ali Anwar Ansari, Dr. Pradeep Kumar Balmuchu, Shri Md. Nadimul Haque, Shri B. K. Hariprasad, Shri Jugal Kishore, Shri Avinash Pande, Shri Satyanarayan Jatiya, Shri Sanjay Raut Shillong- Informal discussion with the representatives of Ministry of Mines/ GSI and MECL on the subject "Exploration of mineral in North Eastern Region and Ministry of Steel/SAIL on the subject "Promotion of Steel usage in North Eastern Region". Guwahati- Discussion with the representatives of Ministry of Coal/CIL and NECL on the subject "Production of Coal." Kolkata- Discussion with the representatives of Ministry of Mines/HCL on the Mining and Production of Copper by the Company and representatives of the Ministry of Steel/MSTC Ltd. on trading/e-commerce activities of the company. Gangtok/Silliguri - Informal discussion with the representatives of Ministry of Steel/RINL and its subsidiary Bird Groups of Company regarding their present capacity and expansion plans and Discussion with the representatives of Ministry of Steel/ NMDC on the subject "Exploration of minerals in the country". (i) Exploration of Mineral in the Country (ii) Production of Coal (iii)Mining and Production of Copper in the Country (iv) Trading e-commerce activities of MSTC Ltd. (v) Promotion of Steel Usage. 31,33,34,35 and 41 (i)	31th Report(16th Lok Sabha) of the Standing Committee on Coal and Steel on action taken by the Government on the Observations/Recommendations contained in 22nd Report (16th Lok Sabha) on “Science & Technology/Research & Development in Mining Sector" relating to the Ministry of Mines. (ii)	33rd Report(16th Lok Sabha) of the Standing Committee on Coal and Steel on action taken by the Government on the Observations/Recommendations contained in 29th Report (16th Lok Sabha) on “Demands for Grants (2017-18)" relating to the Ministry of Steel. (iii)	34th Report(15th Lok Sabha) of the Standing Committee on Coal and Steel on action taken by the Government on the Observations/Recommendations contained in 28th Report (16th Lok Sabha) on “Demands for Grants (2017-18)" relating to the Ministry of Mines. (iv)	35th Report(16th Lok Sabha) of the Standing Committee on Coal and Steel on action taken by the Government on the Observations/Recommendations contained in 27th Report (16th Lok Sabha) on “Demands for Grants (2017-18)" relating to the Ministry of Coal. (v)	41st Report(16th Lok Sabha) of the Standing Committee on Coal and Steel on action taken by the Government on the Recommendations contained in 32nd Report (16th Lok Sabha) on “Skill Development in Mining Sector" relating to the Ministry of Mines. 27, 46,47, 48, 15, 24, 25, 26,30 (i)	27th Report(15th Lok Sabha) of the Standing Committee on Coal and Steel on action taken by the Government on the Observations/Recommendations contained in 24th Report (15th Lok Sabha) on “Demands for Grants (2012-13)" relating to the Ministry of Coal. 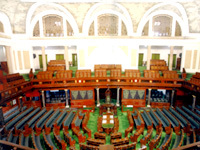 (ii)	46th Report(15th Lok Sabha) of the Standing Committee on Coal and Steel on action taken by the Government on the Observations/Recommendations contained in 35th Report (15th Lok Sabha) on “Demands for Grants (2013-14)" relating to the Ministry of Steel. (iii)	47th Report(15th Lok Sabha) of the Standing Committee on Coal and Steel on action taken by the Government on the Recommendations contained in 39th Report (15th Lok Sabha) on “Promotion of Steel Usage" relating to the Ministry of Steel. (iv)	48th Report(15th Lok Sabha) of the Standing Committee on Coal and Steel on action taken by the Government on the Observations/Recommendations contained in 40th Report (15th Lok Sabha) on “Functioning of MSTC Ltd. relating to the Ministry of Steel. 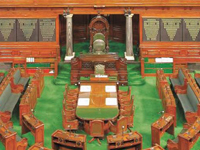 (v)	15th Report(16th Lok Sabha) of the Standing Committee on Coal and Steel on action taken by the Government on the Observations/Recommendations contained in 7th Report (16th Lok Sabha) on “Demands for Grants (2015-16)" relating to the Ministry of Coal. (vi)	24th Report(16th Lok Sabha) of the Standing Committee on Coal and Steel on action taken by the Government on the Observations/Recommendations contained in 18th Report (16th Lok Sabha) on “Demands for Grants (2016-17)" relating to the Ministry of Coal. (vii)	25th Report(16th Lok Sabha) of the Standing Committee on Coal and Steel on action taken by the Government on the Observations/Recommendations contained in 19th Report (16th Lok Sabha) on “Demands for Grants (2016-17)" relating to the Ministry of Mines. (viii)	26th Report(16th Lok Sabha) of the Standing Committee on Coal and Steel on action taken by the Government on the Observations/Recommendations contained in 20th Report (16th Lok Sabha) on “Demands for Grants (2016-17)" relating to the Ministry of Steel. (ix)	30th Report(16th Lok Sabha) of the Standing Committee on Coal and Steel on action taken by the Government on the Observations/Recommendations contained in 21th Report (16th Lok Sabha) on “Research and Development in Iron and Steel Sector" relating to the Ministry of Steel. (i)	Statement showing Action Taken by the Government on the recommendations contained in Chapters I and V of the 12th Report (16th Lok Sabha) of the Standing Committee on Coal and Steel on action taken by the Government on the Recommendations contained in 2nd Report (16th Lok Sabha) on “Demands for Grants (2014-15)" relating to the Ministry of Mines. 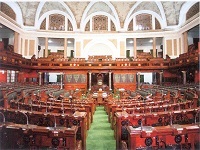 (ii)	Statement showing Action Taken by the Government on the recommendations contained in Chapters I and V of the 16th Report(16th Lok Sabha) of the Standing Committee on Coal and Steel on action taken by the Government on the Recommendations contained in 8th Report (16th Lok Sabha) on “Demands for Grants (2015-16)" relating to the Ministry of Mines. (iii)	Statement showing Action Taken by the Government on the recommendations contained in Chapters I and V of the 11th Report(16th Lok Sabha) of the Standing Committee on Coal and Steel on action taken by the Government on the Recommendations contained in 1st Report (16th Lok Sabha) on “Demands for Grants (2014-15)" relating to the Ministry of Coal. (iv)	Statement showing Action Taken by the Government on the recommendations contained in Chapters I and V of the 10th Report(16th Lok Sabha) of the Standing Committee on Coal and Steel on action taken by the Government on the Recommendations contained in 49th Report (15th Lok Sabha) on “Coal Pricing and Issues relating to Coal Royalty" relating to the Ministry of Coal. (v)	Statement showing Action Taken by the Government on the recommendations contained in Chapters I and V of the 42nd Report(15th Lok Sabha) of the Standing Committee on Coal and Steel on action taken by the Government on the Recommendations contained in 31st Report (15th Lok Sabha) on “Review of Allotment, Development and Performance of Coal/Lignite Blocks" relating to the Ministry of Coal. (vi)	Statement showing Action Taken by the Government on the recommendations contained in Chapters I and V of the 13th Report(16th Lok Sabha) of the Standing Committee on Coal and Steel on action taken by the Government on the Recommendations contained in 3rd Report (16th Lok Sabha) on “Demands For Grants (2014-15)" relating to the Ministry of Steel. 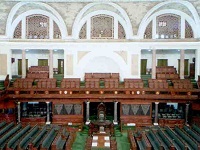 (vii)	Statement showing Action Taken by the Government on the recommendations contained in Chapters I and V of the 17th Report(16th Lok Sabha) of the Standing Committee on Coal and Steel on action taken by the Government on the Recommendations contained in 9th Report (16th Lok Sabha) on “Demands For Grants (2015-16)" relating to the Ministry of Steel. (viii)	Statement showing Action Taken by the Government on the recommendations contained in Chapters I and V of the 53rd Report(15th Lok Sabha) of the Standing Committee on Coal and Steel on action taken by the Government on the Recommendations contained in 38th Report (15th Lok Sabha) on “Review of Export of Iron Ore Policy" relating to the Ministry of Steel. 6 6th Report(16th Lok Sabha) of the Standing Committee on Coal and Steel on action taken by the Government on the Recommendations contained in 52nd Report (15th Lok Sabha) on “Marketing and Transportation of Steel by Public Sector Steel Companies" relating to the Ministry of Steel. 5 5th Report(16th Lok Sabha) of the Standing Committee on Coal and Steel on action taken by the Government on the Recommendations contained in 51st Report (15th Lok Sabha) on “Service Conditions of Workers in Public Sector Steel Companies" relating to the Ministry of Steel. 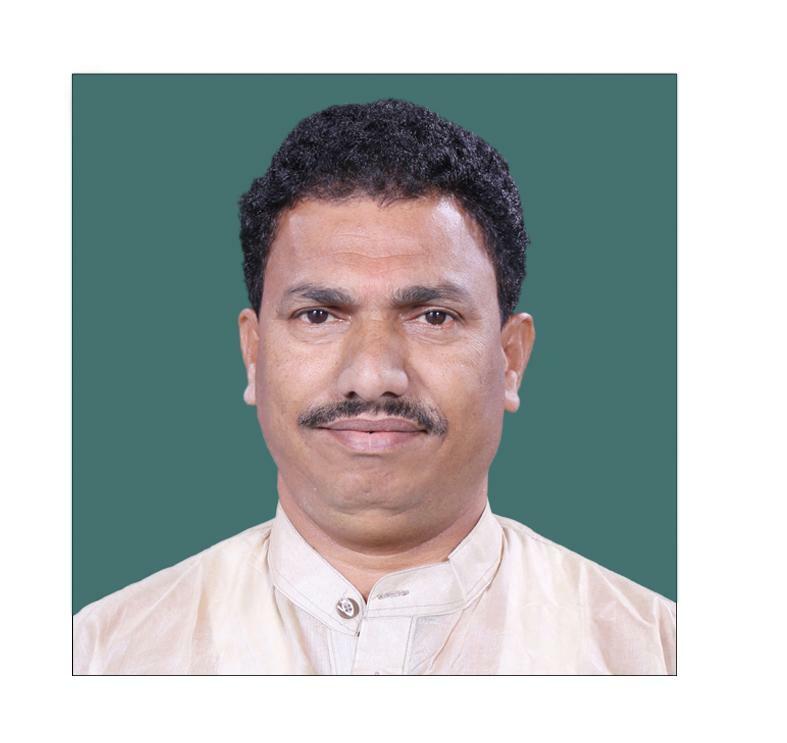 45 45th Report(15th Lok Sabha) of the Standing Committee on Coal and Steel on action taken by the Government on the Recommendations contained in 34th Report (15th Lok Sabha) on “Demands for Grants (2013-14)" relating to the Ministry of Mines.